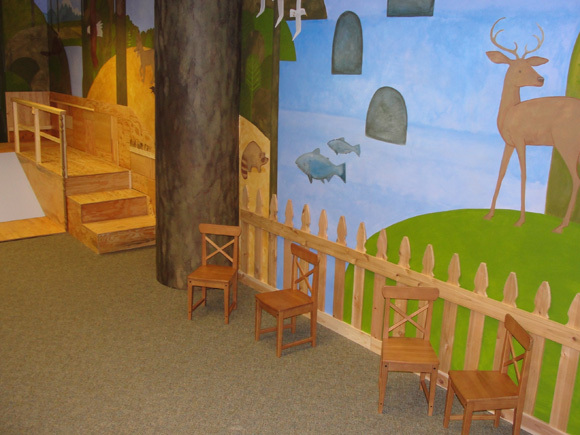 Lavin+Stacey recently was asked to remodel the Kids' Play Room at the Seattle Center. We chose a Northwesty Theme, including 'treehouse' climbing structure, large mural, and Big Tree. There's even a mini Kids' Door next to the grownup one.